Lots of people will tell you that the price you pay for a share really matters. This is because it has a big say on the kind of long-term returns you will make from it. What this means in practice is that paying too much for a share – too high a valuation – is likely to end in disappointing returns or even losses. Buying shares where the future prospects are undervalued is the way to go. I agree with this but with the caveat that this applies mainly to long-term investing strategies where someone owns a share for several years. For shorter investing periods valuations do not matter as much. 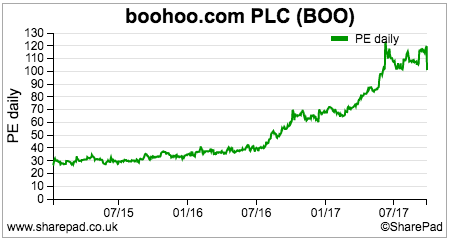 Many investors have woken up to the power of short-term momentum trading and have been able to achieve some truly spectacular results. They have done this by buying and owning a share where its price goes through the roof. In doing so, the valuation of the shares reaches levels which many people consider to be downright ridiculous and cannot come close to being justified by the underlying fundamentals of the company. This kind of approach can lead to resentment or even jealousy amongst investors with more traditional approaches. It may result in accusations of recklessness, gambling or just being lucky. These views are misplaced in my opinion. What certain investors have been able to tap into is the behavioural impact of an investing herd which can lead to spectacular gains. This is no mean feat and most of the time cannot be explained just by luck. The key is identifying these “super shares” before the price takes off. Then you have to get out before the music stops. One of the key takeaways of this approach is that you should basically ignore the valuation of the shares concerned. Other things are more important. This is a lot easier said than done and is certainly not without considerable risk. It is an approach that will not be suitable for everyone but there are signs you can look out for that might just lead you to your next winning share. A great business with a strong and defendable business model. Rapidly growing sales and profits backed by strong cash flows. Lots of positive newsflow. E.g. moves into new markets or buying companies which strengthen the business. Sales and profits growing faster than people expect. This leads to a stream of upgrades to analysts’ profit forecasts over a short period of time. A clean balance sheet, preferably with no debt or pension liability. Strong technical support for the share price. A bull market helps as well. As long as these ingredients remain in place a share price can keep on defying gravity for a lot longer than people think it can. This occurs as higher valuations are attached to rising profits. The absolute valuation of the shares tends to be of little importance when this is happening. However, when some of the ingredients begin to disappear the upwards momentum can grind to a halt. When this happens, valuation does matter. Let’s look at an example of a super share to see how things can play out in practice. Hindsight is a wonderful thing but boohoo.com has been a great example of a super share in action. It has met all of the criteria mentioned above. It is an excellent business. By selling fashionable clothes to young people at value for money prices over the internet, boohoo has been able to deliver stellar levels of profitable sales growth. It has been eating up the competition and gaining market share whilst doing so. As a result, it has created a business which is increasingly difficult to compete with. Despite having to spend money in order to grow and buying other companies it is earning very decent returns on capital employed (ROCE). Yet this on its own is not enough to create a super stock. The key ingredient has been a series of sales and profit upgrades which began in early 2016. This turbocharged the effect of strong profits growth. Before 2016, sales and profits had been growing but not by more than people expected. 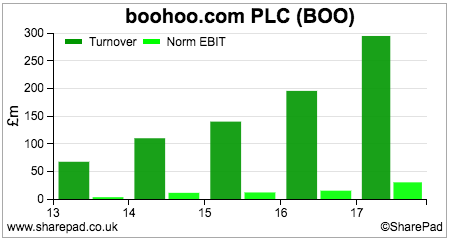 The profit upgrades lit the blue touch paper under the share price. Boohoo saw the valuation of its shares – based on a rolling PE ratio – soar from 26.2 times in January 2015 to over 100 times in June 2017. This was despite people saying the shares were significantly overvalued. From January 2016 to June 2017, the company’s share price went from 39p to 266p – an increase of 582%. The table below shows a summary of 11 trading updates and how expectations of sales and profit growth have evolved from January 2016 until September 2017. 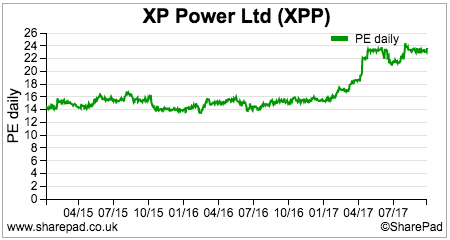 It also shows the share price and its change on the day of the trading statement and the rolling PE on that date. All has gone swimmingly well until the company’s half year results at the end of September. Whilst sales growth guidance was upgraded, expectations for profit margins has come down. This has spooked the market and seen a very sharp sell-off in the shares. More on this shortly. As well as having supportive fundamentals, many successful practitioners of momentum trading or investing also use forms of technical analysis to keep them invested in a rising share or perhaps to tell them when to sell out. I am no expert on technical analysis but I would say that this approach can be useful. I would not use it instead of fundamental analysis – which should always take precedence in my view – but as something to complement it. Using some simple moving averages and a relative strength index (RSI) the experience of boohoo throws up some interesting observations. Most notably is the fact that for whole period of the series of profit upgrades, boohoo shares traded above their 50 day moving average which is seen a positive sign of technical support. RSI is used to determine whether a share has been overbought (a value above 70) or oversold (a value below 30). 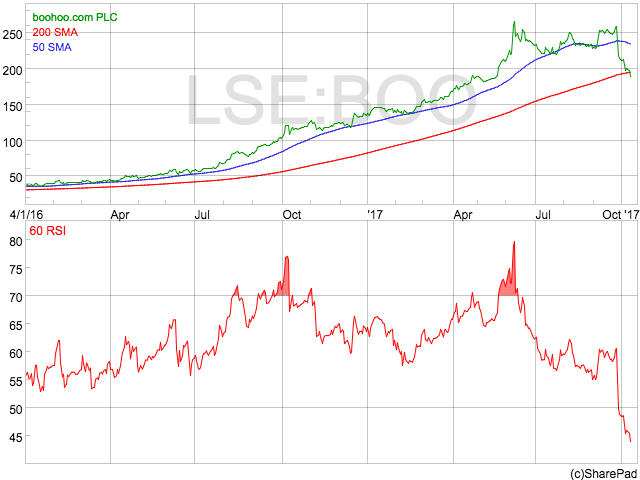 A 60 day (roughly three trading months) RSI has given some mixed signs for boohoo. It signalled that the shares were slightly overbought in October 2016. Selling then would have deprived an investor of spectacular gains. An overbought signal in May/June 2017 would have got investors out at close to the most recent peak. Whether a general rule can be taken from boohoo is debatable. However, it would seem to suggest three things for owning a share with upwards momentum. Hold on whilst profit upgrades are still coming through. Hold on whilst the share price trades above or around its 50 day moving average values. Give more importance to the first two signs of momentum than RSI. The recent tumble in boohoo’s share price has raised legitimate questions as to whether its days as a super share are over. Bulls will point to the sharp fall in the share price as an overreaction and see it as a buying opportunity. After all, there is no disputing that boohoo remains an excellent business which is still capable of delivering strong growth in profits. Lower profit margins mean that the earnings upgrade cycle has stopped – at least for now. Technical indicators are not positive as the share price is below both its 50 and 200 day moving average. 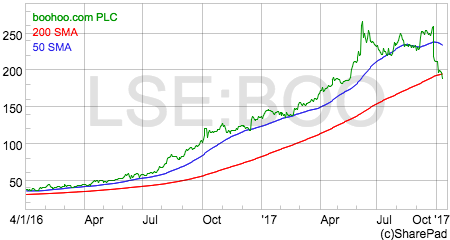 Yet the key determinant of boohoo’s near-term share price performance may be its valuation which has been ignored whilst profit momentum was increasing. The key unanswered question is what will entice fresh buyers to the shares and push the price up again in the next few months without the benefit of earnings upgrades? With momentum investors seemingly bailing out of the shares, who is going to take their place? The potential problem is that value investors will be unlikely to do so. Sure the shares have derated from over 90 times forecast earnings but they still trade on a forecast PE of 65 times, falling to 56 times based on February 2019 forecast EPS. That will still be too pricey for many investors. At best, the shares may tread water as profits growth catches up with the share price. At worst, the shares may still have some way to fall. The other scenario is that profit forecasts start rising again which could reignite the share price. Rising profit forecasts is a key driver of share prices but the source of them is equally important. High rates of underlying sales and profits growth are the best because they can continue. Profits growth from cost cutting will run out. Growth from currency effects can also be temporary and also reverse. 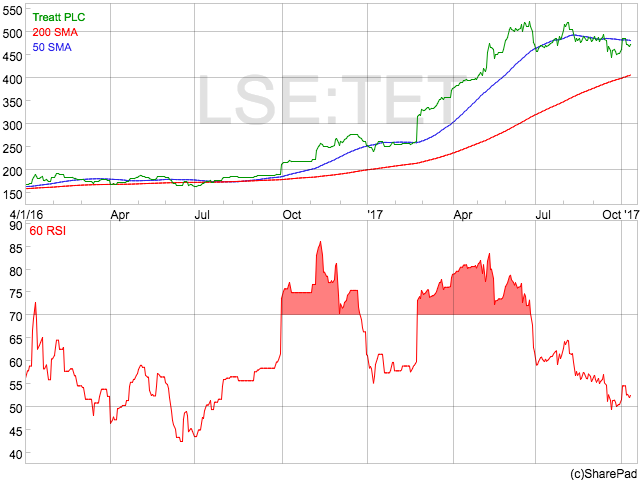 This latter reason could be a reason why the share price in fragrance and flavourings company Treatt (LSE:TET) has stalled following a profit upgrade earlier in the year as the pound has strengthened recently. Treatt is an excellent business but the fact that profits are now likely to be comfortably within expectations rather than ahead of them may have stalled the upwards march of its share price. Constant currency sales growth of 19% during the last year is an excellent result which has allowed it to meet its 2020 profit targets three years early. However, without upgrades and a strengthening pound a source of momentum is absent. Throw in the fact that forecast EPS growth in 2018 is quite weak (less than 5%) and the shares trade on a 2018F PE of 28 times another source of upside has been removed. 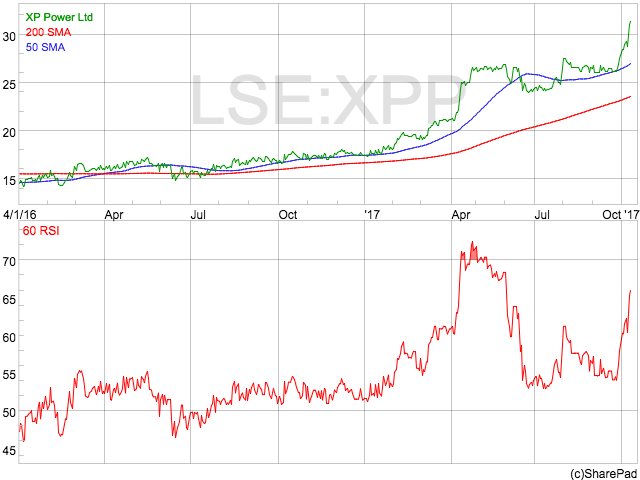 The share price moving below its 50 day moving average is not supportive from a technical point of view. Is there more to go for with XP Power shares? XP Power shares have had a great 2017 so far after posting record profits in 2016. It is a high quality business with a high ROCE and very good free cash flow generation. In July it said that profits would be ahead of expectations with another upgrade announced this week (9th October). The next expected trading update is on 12th January 2018. 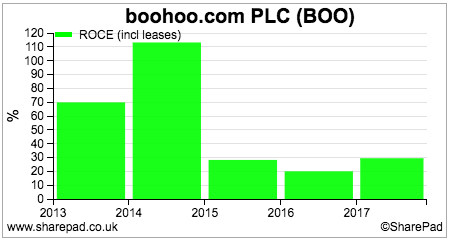 The shares have been re rating to a higher PE in recent months. However at 3136p, the shares trade on a December 2017 PE of around 23 times with EPS growth of just over 20% expected. Momentum factors mean that valuation can be less important in determining short-term share price performance but is more important in the long run. Look for high-quality companies with strong profit growth. Search for companies where profit forecasts are increasing. 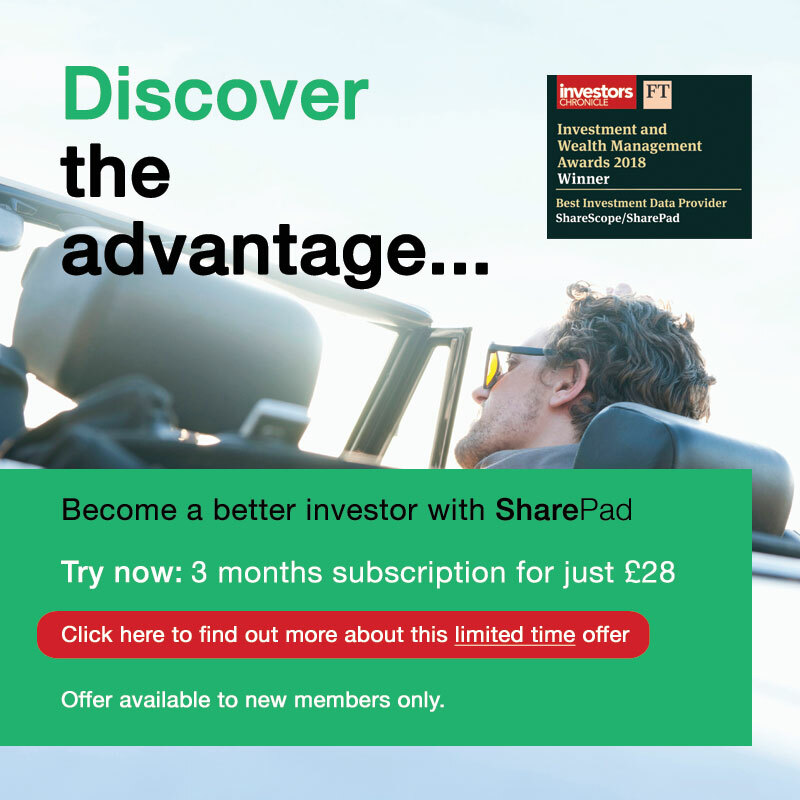 See Richard Beddard’s excellent article on how you can find such companies by searching news stories in SharePad. Technical indicators can be useful.